Present state: The station house has been restored and is in private occupation. A cycleway runs along the track bed at this point and a high fence has been erected making the station difficult to view. The down platform is still extant although heavily overgrown. The waiting shelter on the platform has been demolished. 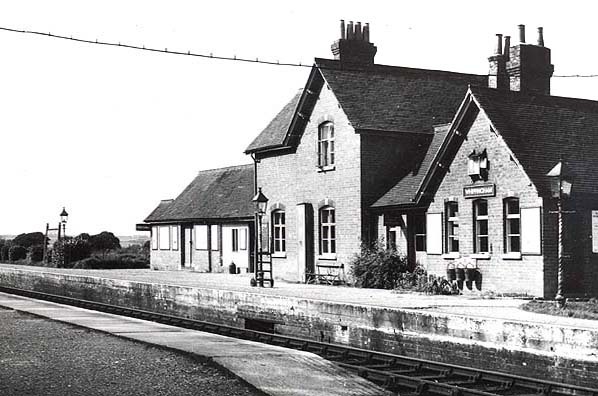 Notes: Although Whippingham Station was opened in 1875 the passing loop wasn't added until 1912. Despite its very isolated location the station was a grandiose building serving Osborne House (the Island home of Queen Victoria) and in its early years it was for private use only but eventually became a public station although initially trains only stopped by request. The down platform, which only had a simple wooden waiting shelter was considerably shortened by British Railways after nationalisation. Because of it's isolate location passenger numbers were always low and post war they dwindled to only a handful a week. 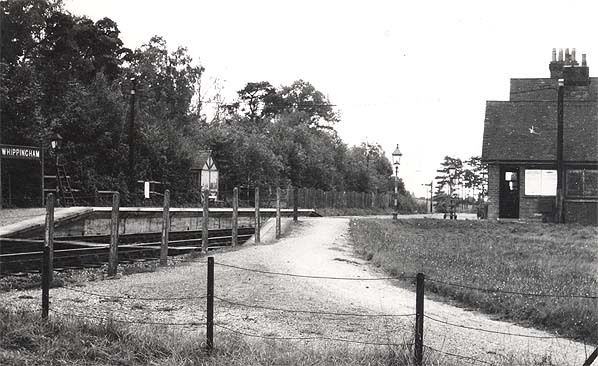 The station was closed on economic grounds in 1953 although the crossing loop remained in use until 1956. 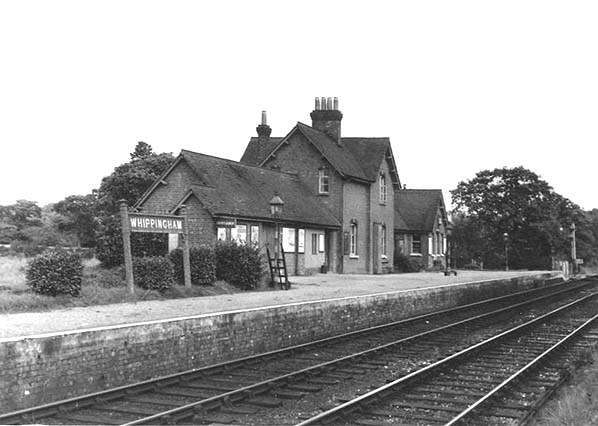 Whippingham station up platform c. early 1950s. 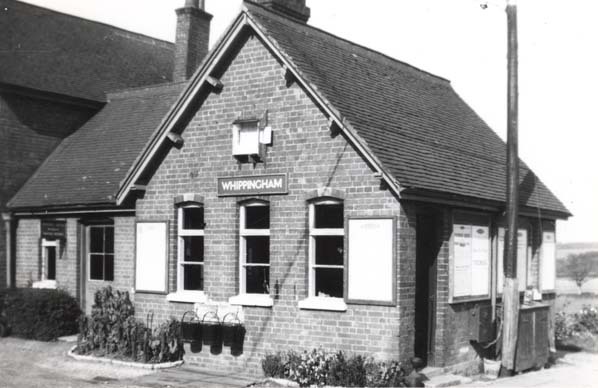 The booking office at Whippingham Station in 1953. 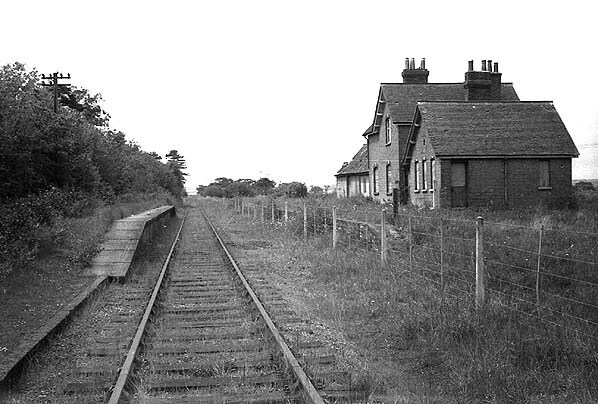 Whippingham Station in October 1968. 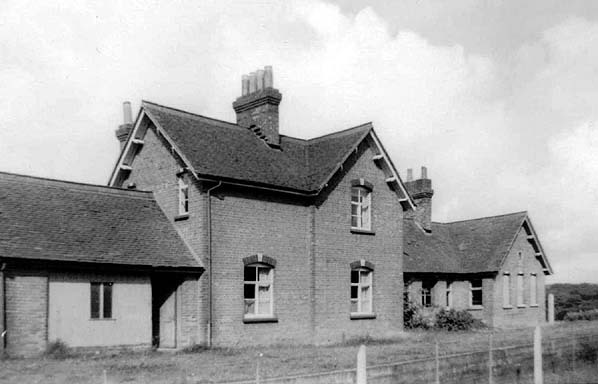 Although closed in 1953, the line remained in use until 1966. 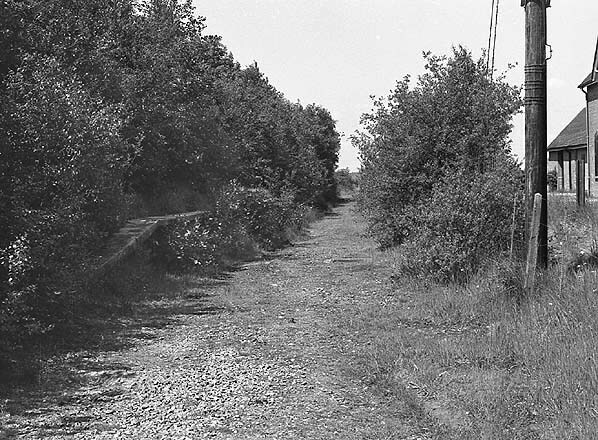 The passing loop was taken out of use in 1956. Whippingham Station in June 2005. 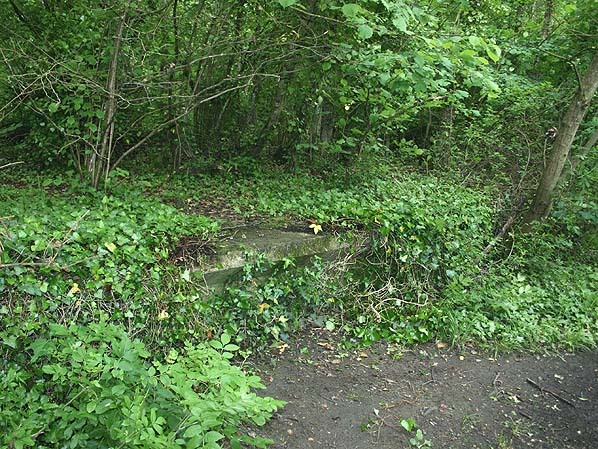 The down platform is overgrown and difficult to see, here is a small section cleared ofundergrowth.